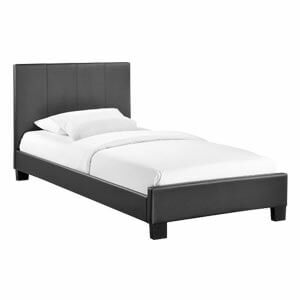 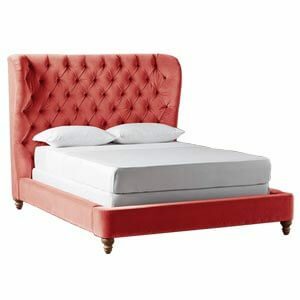 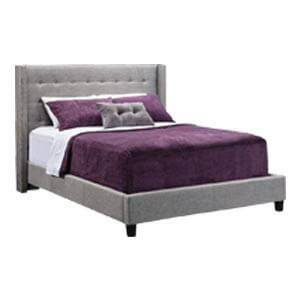 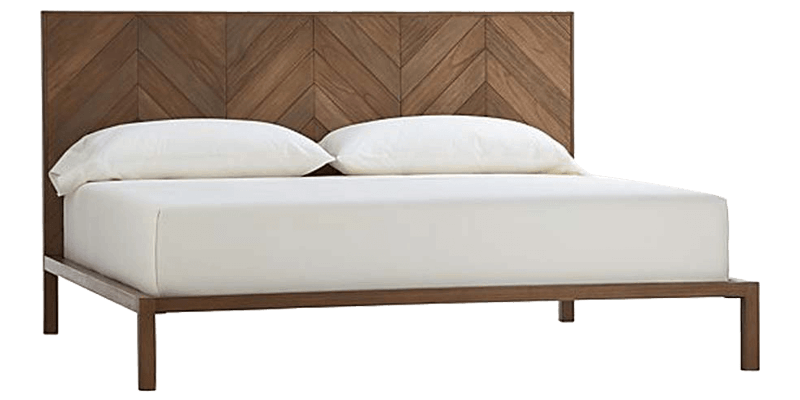 This contemporary king size panel bed is suitable for artistically inclined dwellers as its style is minimal yet attractive. 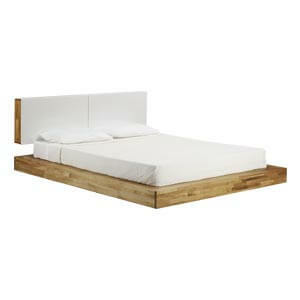 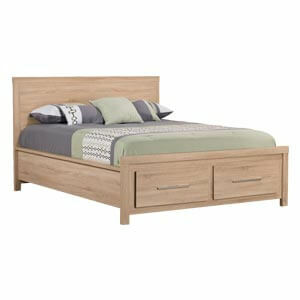 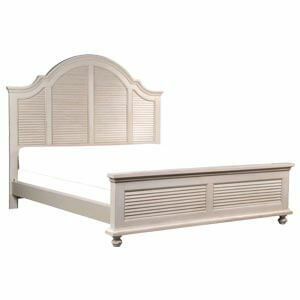 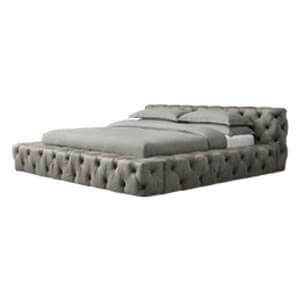 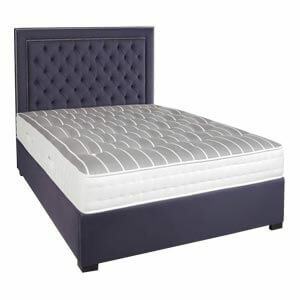 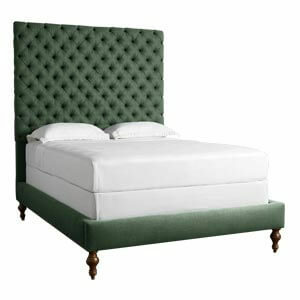 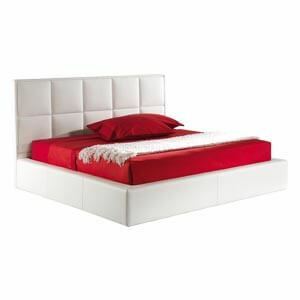 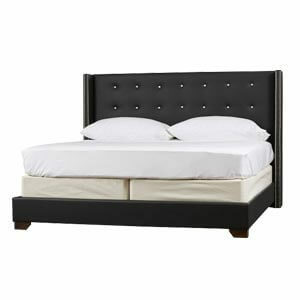 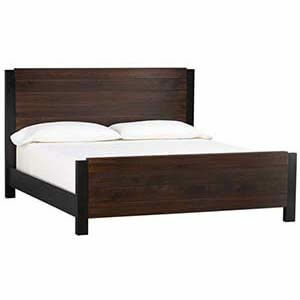 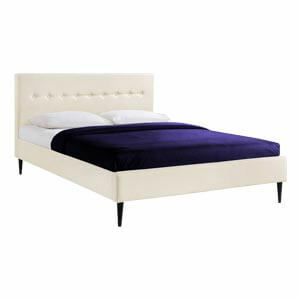 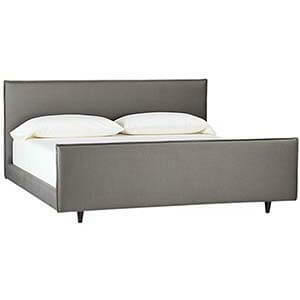 Featuring a high headboard having chevron designs, it has a sturdy wooden rectangular platform perched on wooden legs. 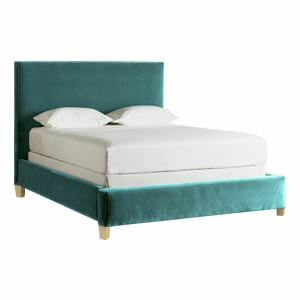 Furthermore, purchasers will benefit with the entire furniture being custom made by our in house artisans.